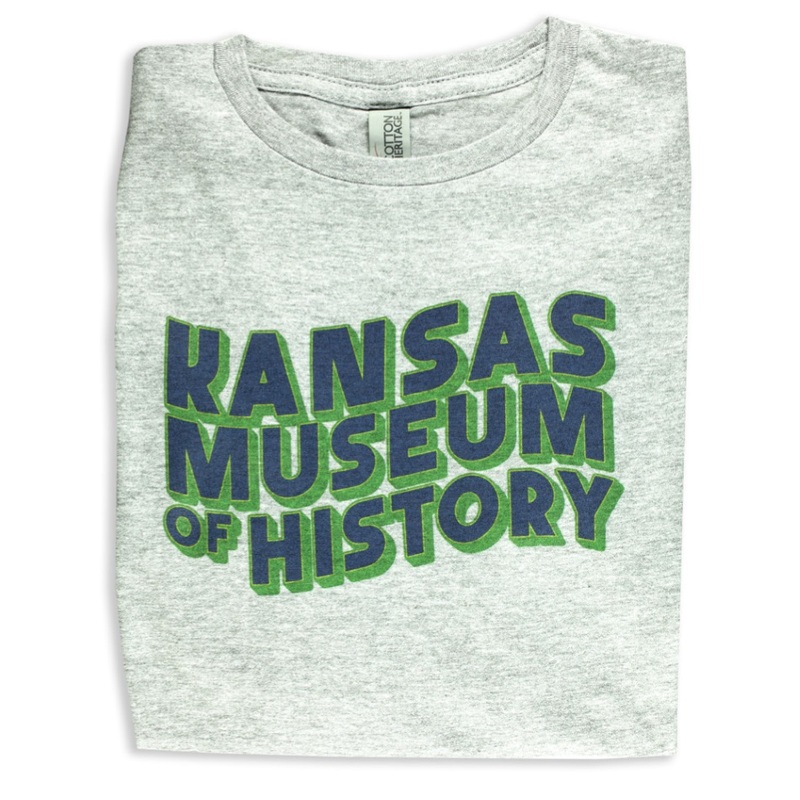 A heather gray long sleeved shirt highlighting the Kansas Museum of History. Shirt is 85% ring spun cotton and 15% viscose. Printed by Tradepost Entertainment of Topeka, KS.